Finding the best oil filter can be tricky because auto parts stores often try to sell you the brand that makes them the most money. We’ve taken a look at the top performers, and have summarized all of their key features below to help you decide which oil filter is best for your car. How To find The Best Oil Filter? Each of the models below are very highly rated, in some cases by hundreds of independent reviewers, so for ease you can pick any one of them and be assured that you’ve got one of the best oil filters on the market. But we’d recommend you take a look at the overview of each product to satisfy yourselves of its specs before buying. When it comes to choosing an oil filter for your car, you want performance above all else, and that’s exactly what this Mobil 1 M1-110 provides. The technology and innovation that went into making this product means that it performs better than almost everything else in the field. This is an oil filter that performs above and beyond just about anything else on the market. Mobil 1 is a well-respected brand when it comes to oil changes and vehicle maintenance, and with this filter you can see why. There are plenty of reasons to choose this product over others including the fact that it is designed to hold more dirt and debris than any other oil filter on the market and it can withstand nearly ten times the normal system pressure. And you don’t have to worry about dry starts because the M1-110 eliminates leaking inside and simply performs. There are lots of advantages to choosing this filter, including its ability to hold more contaminants than its rivals and to remove a huge 99.6% of contaminants. It’s comfortably the best oil filter for synthetic oil. And the superior build quality means there’ll be no internal leaking. Unless you are using synthetic motor oil and need major performance, you will probably be okay with a slightly cheaper option. That said, it will hardly break the bank. Feedback for the Mobil 1 M1-110 is very positive. It averages a whopping 4.7 stars out of 5 from 560 reviews and is currently available for JUST $15.82 with FREE SHIPPING. If you’re wondering which oil filter is best for your car you need look no further than this. The Bosch 3323 contains some pretty impressive technology and is a firm favorite among car owners. Plus, the Bosch name usually means quality and reliability, and that’s definitely the case here. We were very surprised by the low price. • Highly lubricated gasket for easy removal. When it comes to car parts, Bosch is a name that is instantly recognizable, and this filter does the name proud. It comes with Bosch’s standard guarantee, protecting against defects and ensuring quality. It offers superior oil filtration over almost every other filter out there, constructed with both natural and synthetic materials, and with a filter area of nearly 50% higher than other models – as well as having filter media that is almost 30% thicker. What all that means is that you get cleaner oil and better filtration so that your car runs better. The wider filtering surface area gives this a definite advantage, as well as having a great warranty and excellent filtration technology. It’s also fantastic value for money. The gasket is a little different with this filter. It’s thicker, which means that you may not be able to turn it by hand and you’ll have to get a wrench up there (but it comes with the option of a wrench so that’s not too big of a problem!). Customers seem really pleased with it – it averages 4.7 stars out of 5 from over 300 reviews. At the time of review it was available for JUST $7.39 with FREE SHIPPING, so we’re hardly surprised. If you are looking for one of the best oil filters for cars, trucks, SUVs, motorcycles and all-terrain vehicles, the K&N high-performance filter is a great choice. This is one of the most versatile filters around, with plenty of nice features and a reputation for excellence that is well deserved. Let’s check out the specs. This has definitely got to be one of the most effective filters out there and one of the most versatile too. Made to fit so many different types of vehicles that you can use it across everything that you own. It gives you complete performance and reliability with a filtration rate of 99%, plus features like an anti-drain valve and much more. This is one of the most popular motorsports filters, made to be durable because of the huge amount of wear-and-tear that happens to oil filters in these types of vehicles. The advantages of this filter include the fact that it fits cars, truck, ATVs and a whole lot more, combined with the 99% filtration rate and high-quality construction. Because this is made for powersports and motorsports, it isn’t going to fit some cars and trucks. Most customers were extremely happy with this product. There were a couple of isolated incidents where there was some leakage, but nothing else. It averages 4.5 stars out of 5 from over 1,000 reviews and is currently available for $17.29 with FREE SHIPPING. Motorcraft enters the fray with an oil filter that is designed to ensure engine protection at the highest level by focusing on filtering certain types of contaminants over others. Let’s start this review by taking a look at some of its most notable features. This is a great filter for a number of reasons. The first thing that we’ll discuss is how these filters are manufactured. Motorcraft creates a steel case that is ironed into shape so that it is durable and fits perfectly. Then, fluting is added to make it easy to take off and rust-resistant paint is used to protect the filter and for aesthetic purposes. Then there is the operation. It simply does the job better than just about any other filter out there – better than any of the ones not listed here for sure. This filter concentrates most on what will damage your engine, but filters everything else as well. A great option for the money; outperforms almost everything out there. Made with Ford vehicles in mind so it may not fit every single make. Customers have almost nothing negative to say about this filter. It averages 4.5 stars out of 5 from over 220 reviews. The Purolator is definitely one of the budget options on this list, but don’t let that fool you into thinking that this filter isn’t something special. It is definitely one of the best oil filters out there and has a lot to offer if it will fit your vehicle. This model has an advantage that the other filters on this list do not – simply that it performs almost as well but the price is a lot lower! If you are looking for a budget option that still performs up to standards, then this is definitely the filter that you want. It is rated for 10,000 miles, which is about the same as any of the other filters on this list, and it has a feature or two that you won’t find on some of the others – like the coated gasket that makes it really easy to take the filter on and off. There are a number of advantages to getting this Purolator filter, but the main one is that it is priced lower than anything except the final entry, but it gives you about the same performance. You don’t get some of the premium features such as reinforced casings or being able to use it on ATV or other recreational vehicles. The reviews have been extremely impressive for a budget oil filter. With an average of 4.6 stars out of 5 from over 600 reviews, and at JUST $6.39, what’s not to like? When it comes to choosing an oil filter, one of the prime considerations is definitely ease-of-use, especially if you do your own oil changes. This spin-on filter is definitely in that category. It’s the nearest thing to an oil filter with magnet connection that you’ll find (not to be confused with using a magnet for extra filtration – see the FAQ’s below for further info on that). And while the rest of the filters on this list exceed it in most areas, one place where this filter tops the list is price. Honestly, this is not the top performer on this list. In fact, the price is so close to the Purolator, that It isn’t even the best budget option. However, this filter does have the advantage of being a spin on filter, which makes it really easy to take off and put on. But as far as the other specifications, it underperforms compared to everything else on this list – including the Purolator filter. So, unless you struggle to get your oil filters attached and detached, or you want to save a few pennies, you are probably better off going with another entry..
Has spin-on technology that makes it a snap to remove. And the price is really low as well. Only rated for 5,000 miles instead of 10,000 and it only filters 95% of contaminants rather than the 99% of the other filters listed here. The customer reviews are really positive, with users finding it good value for money. It obviously has something going for it, averaging 4.3 stars out of 5 from 135 reviews. So, Which Oil Filter Is Best? The bottom line is that if you want a truly great filter, you’ll want to choose one of the first four on the list and spend a little more money. The Mobil 1 is hands down the best, but the Bosch is a good choice too. If you’re looking for a budget option, the Purolator is recommended over the FRAM. We appreciate that not everyone is familiar with the function and purpose of an oil filter, so we’ve put together a short guide to help answer a few of the most frequently asked questions that we receive. Q – What Oil Filter Do I Need? A – In short this really depends upon your vehicle, how you use it, and what type of oil you use. If you use a mineral based oil, and you change the filter regularly then you shouldn’t need to fork out for an expensive model. Any of the models reviewed above will do the job for you. If on the other hand you are planning to go long periods between changes, or you’re using a synthetic oil, you should use one of the more premium offerings. We’d recommend the Mobil 1 M1-110 or the Bosch 3323. Q – How Often Should I Change My Oil Filter? 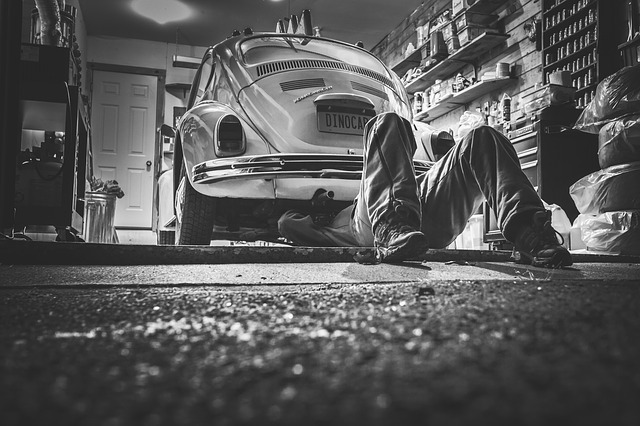 A – This question gets asked a lot, and there is no one, definitive answer, however as a rule of thumb, unless you put your car under abnormal amounts of stress, changing the filter every time you do an oil change or every 5,000 to 8,000 miles is a good idea. We write about this in more detail here. Q – Where Is The Oil Filter Located? A – There is no standard position unfortunately. As the oil filter location differs from car to car, in the first instance wed recommend consulting with the drivers manual. Presuming you have your vehicle jacked up you could also look for an object similar in appearance to the replacement that you’ve purchased. Q – My Oil Filter Is Stuck, What Should I do? Q – How Tight Should My Oil Filter Be? A – The short answer is not so tight that you have to employ any of the more extreme methods in the clip above to get it off again! That means screwing it on cleanly by hand until you meet with resistance. Once its completely screwed in, give it another quarter of a turn but no more. That should be sufficient to ensure that it remains secure whilst driving without causing any problems when you need to remove it. Q – Should I Use An Oil Filter With A Magnet? A – Some people recommend this because apparently the magnet helps to catch magnetic particles and stop them from getting back into the engine. The general consensus however is that this can do more harm than good. It can result in a build up of magnetized particles, and could alter the pressure within the filter, neither of which are desirable. The oil filter reviews above show that at the premium end 99.6% of contaminants can be removed, and we’d suggest, if you change your oil and filter on schedule, you shouldn’t have any problems. Q – How Should I Dispose of My Old Oil Filter? A – In this day and age you should certainly be recycling it. Responsible oil filter disposal is not only recommended but failure to do it could result in a fine or worse in some states. Do not burn or dump it. First you should drain it upside down over a pan to remove any remaining oil. Store the excess oil in a sealed bag, and the clean filter in another. Mark each bag accordingly and take them to your nearest auto recycling center. Q – What Is An Oil Filter With A Bypass Valve? A – Most models come with a bypass valve built in. The valve is essentially a safety mechanism to allow your oil to pass by the filter, straight to the motor. This is necessary in a few scenarios. For example, when you start your car in the cold. In cold conditions your oil will be a lot thicker making it more difficult to pass through the filter. To ensure that your motor has sufficient oil to properly function the bypass valve will open to allow it through. This may also happen if you haven’t changed your oil and/or filter as scheduled and it has become clogged. In those circumstances the bypass valve should open to provide the motor with the oil that it needs. Q – Do I have A Leak? A – A filter leak, especially a slow one, can be hard to diagnose. However, given the importance of filtering your oil it’s a good idea to look out for the early signs. Common indicators include: your engine oil light coming on; a damaged housing gasket; oil dripping (or staining on your driveway); and decreased oil pressure (many modern cars have an oil pressure light). If any of these symptoms sound familiar it may be time to carry out a few repairs, or take your car to a specialist for further advice. Q – How Much Does An Oil Filter Change Cost? A – This varies widely depending upon whether you go to a franchise dealer or an independent garage. From our research you can expect to pay between $80 and $120 at a franchise dealer, and between $70 and $90 at an independent garage. This is by no means an accurate guideline as to what you should be paying – you may get a much better deal from a local mechanic – however it does emphasize the huge savings you can make by replacing it yourself. Q – How Do I Change My Oil Filter? A – Carefully! We’ve written a full post on this here, however in a nutshell you’ll need to: jack your car up or elevate it on ramps, find the oil drain plug and put a pan underneath it; unscrew the plug and drain the oil into the pan; put the plug back and then remove the old filter by hand (use the methods referred to above if it’s too tight); grease the new one and little and screw it on (as tightly as set out above); add your new oil; run the car to check for any leaks; use a dipstick to check the oil level; and presuming it’s all gone to plan give yourself a large pat on the back! Q – How Does An Oil Filter Work? A – Your oil filter cartridge sits in a gasket to hold it in place. The base of the cartridge holds the gasket which is perforated with a series holes just inside. The center of the cassette contains a filter material most often made of synthetic fibers. A central hole connects the filter to your engine. Your car’s oil pump forces the oil towards the filter. It enters via the holes in the the base plate. All of the dirty oil passes through the filter fibers under pressure. The contaminants are caught by the fibers and the newly filtered oil then re-enters your engine through the central hole. Voila! Hopefully the reviews and the FAQs have been helpful and you’ve now got a better idea of which oil filter is best for you and your car. Have you used any of the filters listed above? If so, how did they work for you? Or do you have another suggestion for the best engine oil filter around? Let us know below. We’d love to hear from you. For a handy article on how an oil filter works check out this great article by mobiloil. For help on how much oil to use read this, or if your car is burning oil read this. Or why not check out our article on Shell Rotella T6 5W40 here. For general guidance on synthetic oil read our ultimate guide.